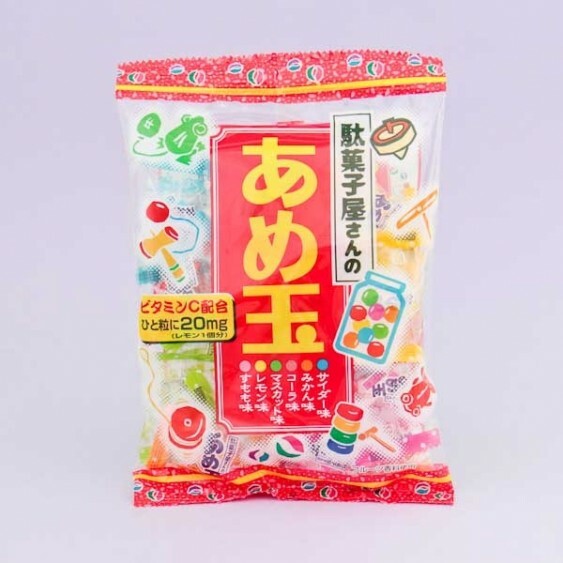 Dagashi are Japanese, cheap candies popular with kids. 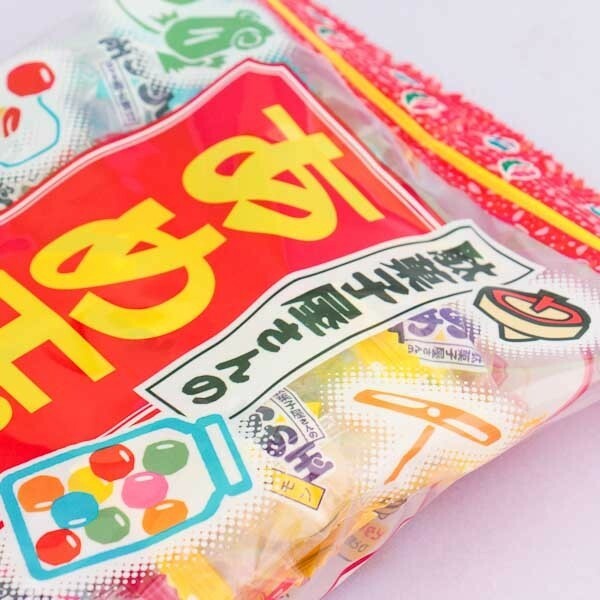 This package is filled with hard small candy drops in 6 different flavors - Japanese plum, lemon, muscat grape, cola, orange and cider! 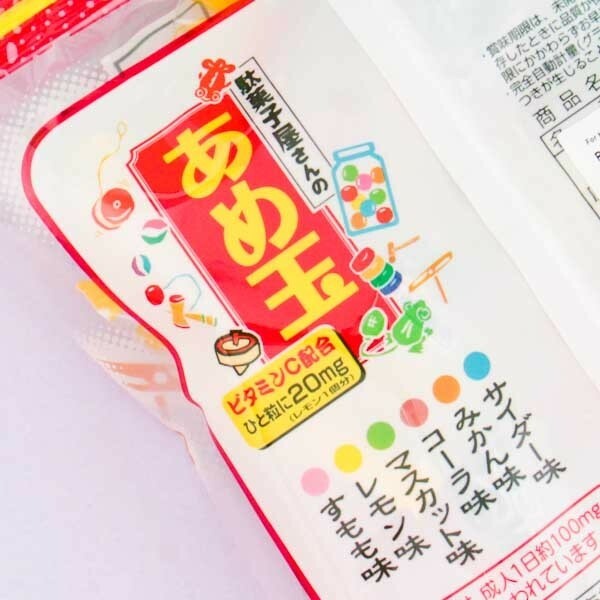 Flavors are listed in accordance with the colors on the back of the package. Each candy has been wrapped individually, so you can take a couple with you and share with friends easily. Yummy!